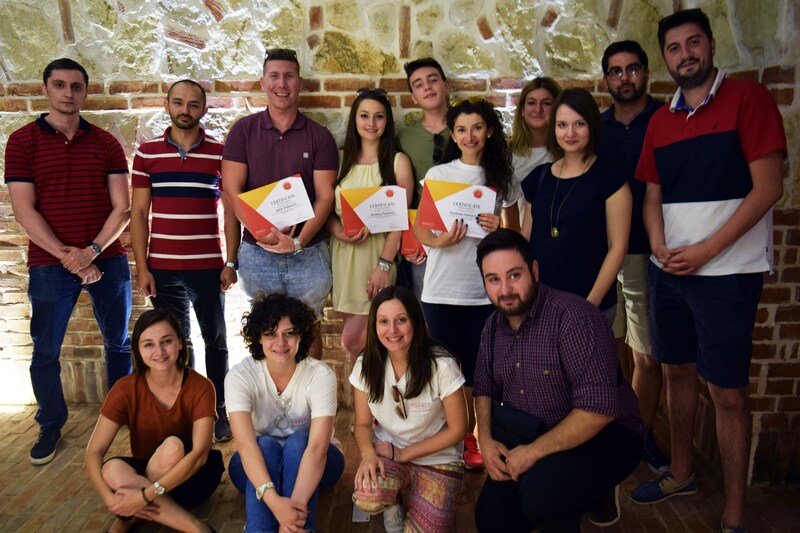 The Summer Diaspora Business trip has the purpose of providing young Macedonian Diaspora with a platform where they can reconnect with their heritage while exploring new opportunities in Macedonia. Besides this, the program has the vision to motivate the diaspora to reach out to the Macedonian business community and learn about its potential for investment and starting a business. This year young professionals from Serbia, Italy, Germany, and Australia had the opportunity to be a part of this program, organized for the second time. The program unofficially was open with trip to Matka and Makedonsko Selo, while the official opening happened at the “Alkaloid A.D Skopje” premises, where Mr. Zhivko Mukaetov who is the chairman of the program, welcomed the participants and gave a presentation regarding their work. After the tour around the Alkaloid A.D. premises and their R&D facility, participants became well aware of the work of the company and got a good glimpse of how different sectors function. Afterward, they officially started with their internships at the companies which were previously assigned to them, in accordance to their professional backgrounds. Besides the internship, Macedonia2025 organized a series of events in order for these young Macedonians to meet country key leaders. 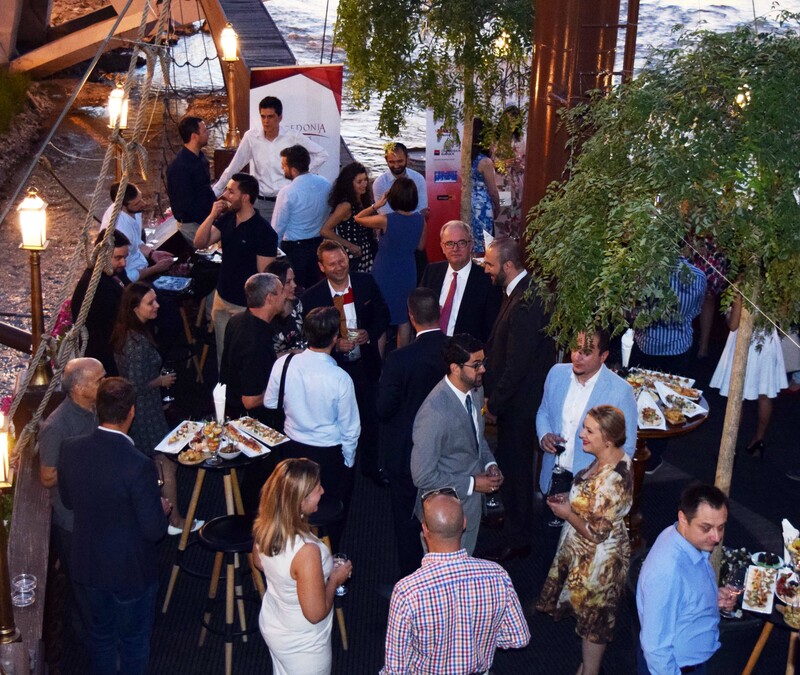 The main event was the networking reception which was held on the 19th of June at the Senigallia restaurant by the Vardar basin. The event hosted over 70 guests who had the chance to hear the participants’ impressions as well as the speeches of MK2025 board members Mr. Zhivko Mukatov and Mr. Zoran Martinovski. The director of MK2025, Ms. Biljana Markovic Stamenova as well as the Ambassador of Canada to Serbia, Macedonia and Montenegro, H.E. Philip Pinnington also welcomed the guests with a short speech. The ambassador emphasized the importance of the Macedonian youth and that they should avoid leaving Macedonia in order to seek for success. He added that even though our country is facing a lot of problems, with the right attitude, devotion, and persistence, we can do a lot, having in mind that Macedonia is a country that possesses great potential. Another interesting trip that was realized throughout the program was the visit to the ancient city of Stobi, as well as the tour to the Tikves winery, where the participants together with their mentors and the MK2025 staff had a chance to try some of the best traditional Macedonian meals while tasting some of the best quality Macedonian wines. Kristofer: It is a wonderful experience where you can learn a lot of things. This program is really something worth being a part of. “Helping build a stronger nation” mission is definitely something that I’m interested in contributing to, and that’s why I chose to be a part of this Summer Diaspora Business Trip. I think Macedonia is a wonderful country where people should invest in. People should start appreciating Macedonia as a country as not many people know a lot of Macedonia, and this is exactly what Macedonia2025 is trying to change. Jovana: I heard about the program and the Macedonia2025 organization, I really liked the work they are doing and that’s why I decided to be a part of it. I am a student of medicine and that’s why I chose Alkaloid as a company to do my internship. I was in the sector of medical marketing and I can tell you one thing – this has been one great experience. We were meeting great people every day and we learned a lot about the business development in Macedonia. I just want to say thanks to Macedonia2025 and Alkaloid AD Skopje for giving me this opportunity. Macedonia2025 say that they are very proud of the outcome from the program, and are eager to reach a bigger number of participants for the years to come.